Event was great. It was the first time that some people had even thought about electric vehicles, or that they knew they could purchase them at this location. We had our County Supervisor John Gioa speak. We also had El Cerrito Mayor Pro Tem attend. Get information on rebates for your vehicle and charging stations! 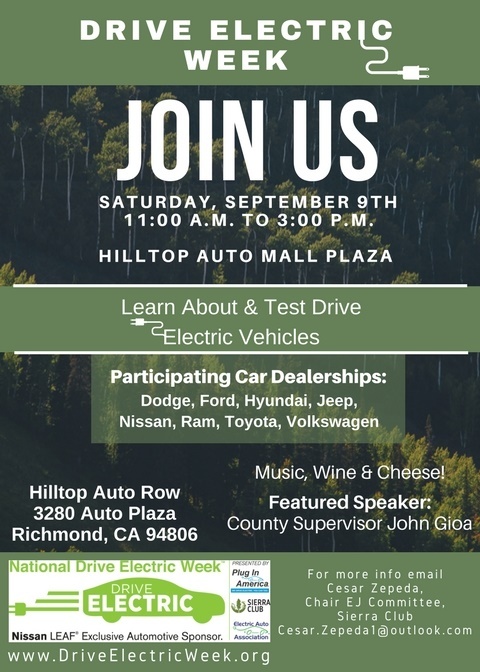 Car dealership will have Music, Wine & Cheese! Registered attendees report 1,700 electric miles driven.